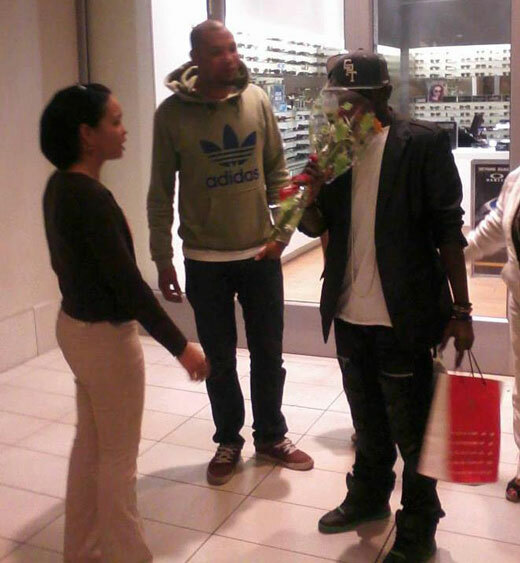 Big Brother StarGame finalist Kyle Duncan Kushaba has arrived in Cape Town ahead of ZAR Cape Town's "African Night With African Stars" event. Big Brother StarGame winner, Keagan Petersen was there to welcome the Uganda lad of the Uptown musical group who will be performing at the occasion. 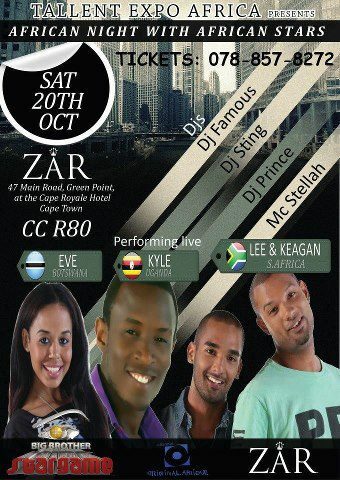 The event, which is scheduled to take place on Saturday, October 20, 2012 at ZAR on 47 Main Road, Green Point, Cape Town will also feature Eve from Botswana, South African brothers Lee and Keagan plus a line-up of DJ's to thrill the guests. Wow!! I wish I was in Cape town to see my girl Eve.Good luck Kyle hard work pays!! Hi! Kyle & Eve enjoy ur stay . Oh I wish I can be there! how come kyle is not in nigeria posing for pictures with seydouche, slutalia and the stowaways?